Aggravated assault, along with its lesser cousin, “simple assault,” involves physical violence from which the victim does not die, setting these charges apart from manslaughter and murder. Aggravated assault, by definition, leaves the victim with serious injuries and is treated as a serious crime. Conviction for inflicting injuries severe enough to support the charges may be taken as a sign that you are dangerous, have “anger issues,” and the like, a view that will not enhance your employability or social standing. And, of course, conviction leaves you with a criminal record, but hiring a skilled Pittsburgh aggravated assault lawyer to handle your case can help. Pennsylvania classifies many different types of offenses as aggravated assault. While the seriousness of the injury inflicted is the basis of some, any bodily injury is sufficient for other; and for some, there need not be any bodily injury at all. Both of the “serious bodily injury” offenses also require that the injury was caused intentionally, knowingly, or recklessly. One of these offenses also requires that the circumstances show that the defendant was demonstrating extreme indifference to human life. The other simply requires that the injury or attempt has targeted someone holding any of a lengthy list of jobs. In addition, separate laws apply to assaults by prisoners, generally, and by prisoners either on death row or serving life sentences. While not explicitly called aggravated assault, they are classed as second and first degree felonies, respectively. The list of officers and positions that are protected from aggravated assaults includes 36 specific statuses. These include, among others, law enforcement and correctional officers of various types, firefighters, probation and parole officers and agents, judges, attorneys in the criminal justice system, emergency medical personnel, teachers and educators in enumerated situations, and members of government. Finally, there is a separate charge for assault committed because of malice toward a specific race, religion, gender, etc.—the concept known as hate crimes or bias crimes. An offense under this law is classed one degree higher than it otherwise would have been. Aggravated assault charges based on causing serious bodily injury are first degree felonies. First offenses allow prison terms of up to 20 years. The other aggravated assault charges, without a serious bodily injury requirement, are second degree felonies. First offenses allow prison terms of up to 10 years. The best defenses to the substantive charge always depend on which form of aggravated assault has been charged. If the offense requires that the victim has suffered serious injury, does the evidence really show that? The same for offenses that require intent and knowledge; do the facts really show those elements, or is the state trying to assume knowledge and intent with little to no evidence to back it up? You didn’t commit the act on which the charge is based, either because of mistaken identification or deliberate lies by the victim. You committed the offense, but only because you were forced to, as in the case of self-defense. As you can see from this discussion, Pennsylvania really has many different aggravated assault offenses, with different standards for the severity of injury required, and various other elements that the state must prove for some offenses but not others. An effective aggravated assault defense requires that the attorney be intimately familiar with each type of offense and where the weaknesses in the state’s case are likely to be. These offenses are all serious felonies, with the very good chance of serious prison time upon conviction. Get the help of an experienced criminal defense lawyer and do it early. The sooner you have experienced representation, the less chance that the state can use its power to maneuver you toward a conviction. 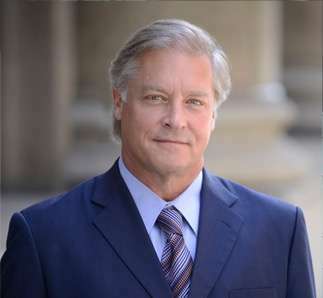 With decades of experience successfully handling aggravated assault and other violent crime cases, attorney Gary Gerson will vigorously defend your rights from the beginning of the case to the end, whether that means a trial or a fair plea agreement. If you are facing aggravated assault charges in the Pittsburgh area or anywhere in Western Pennsylvania, call us today.